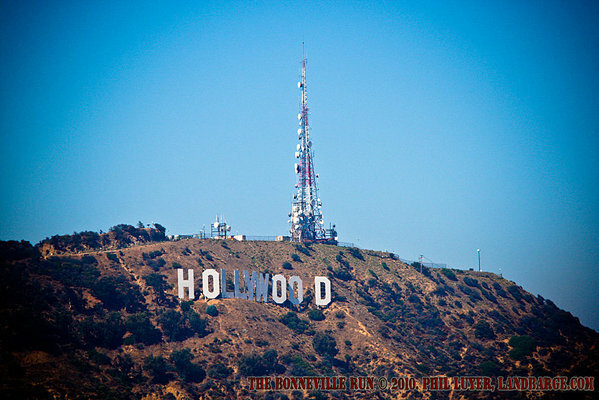 We're about half way through our time in Los Angeles, and today we headed to Hollywood. The day started with us walking Hollywood Boulevard, checking out some of the stars in the pavement and the famous buildings there. 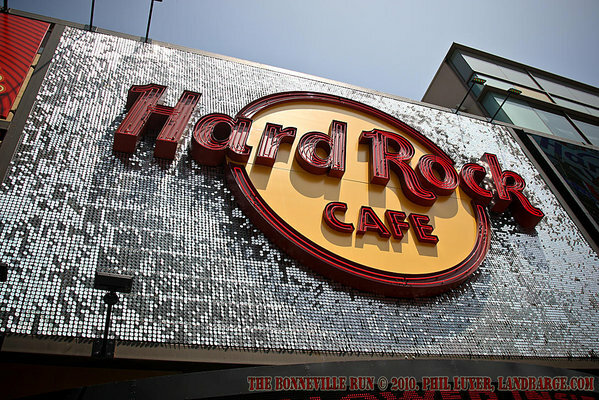 For lunch we visited the new Hollywood Hard Rock Cafe, which only opened 2 weeks ago. After we left Hollywood it was time for some more car stuff and we headed up to Mulholland Drive to take a cruise out one of Los Angeles' most famous roads, starting from El Camino Real and making it out to Encino Hills Drive before turning back. On the return run, we stopped at a lookout near El Camino Real, where you can get a pretty good view of the Hollywood sign, albeit clouded through the haze. Our last stop for the night was a baseball game at Dodger Stadium, where the Los Angeles Dodgers lost to the San Diego Padres 5-0. We had booked tickets to the All You Can Eat pavilion, and turned up just before the gates opened, which worked out really well for parking, with the Cadillac taking a spot in the very first row of the general parking area. 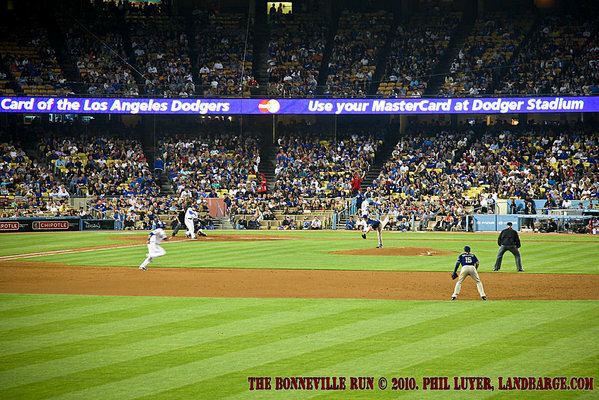 The All You Can Eat pavilion is the right outfield pavilion and offers ticket holders unlimited Dodgers Dogs, Nachos, Peanuts, Popcorn and Soft Drinks, from the time the gates open, approximately 90 minutes before the first pitch, until the 7th Innings Stretch. While we were relatively restrained, many spectators really took advantage of the All You Can Eat offer.